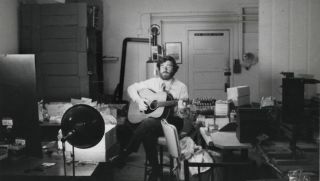 Jim Dunlop Sr., founder of Dunlop Manufacturing and guitar accessory pioneer, has died at the age of 82. A massive presence in the guitar industry for more than 50 years, the Dunlop name is synonymous with everything from picks and slides to capos and effect pedals. Among the most famous of Dunlop’s products is the Tortex guitar pick, as well as the Cry Baby wah, a fixture on seemingly every guitarist’s pedalboard for generations. Dunlop has also produced iconic effects like the Heil Talk Box, the Uni-Vibe and the MXR line of stompboxes. In San Francisco he began working as a machinist, but as a guitar player and hobbyist he continued to work on guitar accessories on the side. His first effort, a product called the Vibra-Tuner, didn’t take off, but his next inventions, the 1100 and 1400 model capos, were a hit. He then moved on to picks and slides, building his business, now located in Benicia, California, along the way. “I really just wanted to make something that musicians would use,” he said of getting into plectrum manufacturing. Then, in the early Eighties, Dunlop maneuvered into a market that would change the company’s fortunes, bringing the then-defunct Cry Baby brand into the fold. Later on, Dunlop also acquired the MXR line, eventually becoming, for all intents, as much an electronics company as an accessories brand. In addition to picks, slides, capos, strings, guitar straps, strap locks and any number of tools, there was the Cry Baby and MXR pedals like the Phase 90 and Super Badass Distortion, as well as a line of Hendrix items like the Uni-Vibe and Octavio and signature effects with guitar icons from Slash and Eddie Van Halen to Zakk Wylde and Dimebag Darrell, among many others. In fact, it’s safe to say that, today, virtually every guitarist, from the bedroom players to multi-platinum, arena-stage-dwelling legend, has at some point in their musical life used a Dunlop product.